Evidence-based imaging (EBI) requires the critical assessment and application of the best available evidence to patient imaging. Unfortunately, the published studies that comprise the available evidence are often limited by bias, small sample size, and methodological inadequacy. Further, the information provided in published reports may be insufficient to allow estimation of the quality of the research. Initiatives by journal editors to improve the reporting of research studies, including the CONSORT (1), STARD (2), SQUIRE (3), and others, provide useful guides but are incompletely implemented. 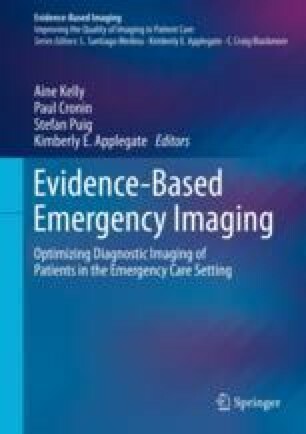 The objective of this chapter is to summarize the common sources of error and bias in the imaging literature to guide the critical assessment required for EBI.